This week's newsletter is all about Active Directory Modernization or AD Mod, the latest buzzword used to describe what happens when a merger, acquisition or reorganization leaves you with multiple Active Directory forests and having to figure out what to do with them. We welcome Ian Lindsay, a Strategic Systems Consultant at Dell, who has contributed the guest editorial for this issue of WServerNews to help us understand current industry thinking and practices in this area. The Snipping Tool was introduced in Windows 7 - not Windows 8 - I know as I am still using Win 7 and use the Snipping Tool a lot. But it's easy to forget stuff like this when Windows has gone through so many changes in recent years. Another slip in the article was the so-called enhancement to File Explorer to perform cyclic redundancy checks and checksums on file or combination of files. As several readers pointed out this was a feature added by 7-Zip which was installed on the system used for writing the article. I confess I probably would have made the mistake -- when I recently upgraded my new HP Envy laptop from Win81 to Win10 (see Issue #1049 3am tech support) I was surprised myself to see a 7-Zip menu option when I right-clicked on files in File Explorer and I thought to myself, "Gee how nice, I didn't notice before that Windows 10 now includes 7-Zip, when did Microsoft acquire that?" I guess that's typical though of the kind of thinking you tend to have when you've been working late into the wee hours of the night. Those people who prefer Windows 7 (and I would have to say that new features aside, I find myself in that camp, although I like new things) have five years to wait and see if Microsoft can further improve upon Windows 10 before Windows 7 support expires. Those of us in IT know there is always room for improvement, but whether Windows 1X will be better than Windows 7 in five years will be difficult to say; all I can predict is that Windows 1X will be at least as different from Windows 10 as Windows 10 is from Windows 7 (and perhaps more). He talks about "Windows 1X", when there will be now new versions of Windows. From now on starting with W10 it is "Windows as a service", with updates to W10 provided to bring new features, as stated by Jerry Nixon "we're releasing Windows 10, and because Windows 10 is the last version of Windows, we're all still working on Windows 10". So while the statement that Windows 10 is the "last version" of Windows may be true in one sense, it's actually a bit more complicated than that. People are starting to use a new term in the IT world, Active Directory Modernization or AD Mod. AD Mod is really just a new twist on an old project. Much of what came to be called AD Mod came from Active Directory consolidation / migration. When Company A buys Company B, the easiest way to get connectivity and start working together is setting up a trust relationship between the two directories. Then the fun begins as work starts to move objects from one domain to the other in an effort to get rid of one domain. AD Mod is really the same thing, without the merger or divestiture. Think of your existing environment. How many forests do you have? More than one? Very possible for a number of reasons. Now think of the domain structure. How many domains to you have? More than one? Two? Three? More? In the early days of Active Directory, we created multiple domains for a variety of reasons. Security boundaries, keeping Research separate from the rest of the company. Geo-political, laws in some countries required extra domains. Internal Politics. Network and bandwidth restrictions. Regardless of the reasons we had back then, many of those reasons no longer apply, allowing us to collapse the complicated structure that we have today into one that is much more rational. So how to begin? AD Mod is much more of a journey, than a process. One we don't need to stop at a certain point. Also not one we need to start at a specific step. The graphic to the right outline the processes that we should go through. So where do we start? You may be thinking that you can get away with the AD Recycle Bin. Think of the Recycle Bin like the one on your desktop, it is for deleted items. We are going to move and modify items, not delete them. Also, your AD must be at a functional level of Windows Server 2008 R2 for Recycle Bin to work. The restructure faze is nothing more complicated than an AD migration. This is where we will collapse domains and move objects around. Everything you think of in a migration applies here. Moving objects and collapsing domains is straight forward using todays migration tools. The big thing to plan for here is the applications from the domain to be removed. Most Windows apps will continue to work just fine. Where more time needs to be spent is on non-Windows applications that use the active directory as an LDAP directory. We need to find them and how they are calling into the directory, and how they are calling into the directory. Next we need to mitigate these applications by either fixing the app directly or by implementing a virtual directory server that will capture the calls to the directory and redirect them automatically to the new directory. The management of your directory is something you are already doing today. However, there are some things that you may want to consider adding to your environment. Monitoring tools. The AD is one of the most critical systems in any environment. But no one notices it until there is a problem. If you do not already have systems in place to monitor the health of Active Directory, consider them now. As your organization gets larger, and you have more people modifying the directory, it becomes harder to maintain consistency with the naming conventions that we want to enforce. So why not start to automate this? People think identity management systems when we talk about this kind of automation. And IdM systems are large, complicated and take a long time to implement. However, there are tools that will allow us to begin the journey, and automate the management of AD attributes without having to fully implement an identity solution. If you've ever been thinking about identity solutions, this is a good place to start as you can show immediate value to your organization and then implement the harder parts later. Growing organizations have more fingers in the AD cookie jar. So we want to control them. There are a few things to consider to help secure AD. First, consider 2 factor authentication. 2 factor has evolved from the fobs that we've had to carry around all the time. Now you can get software tokens that can be put on your laptop or phone. Some of them never expire as well. Next, look at all the administrative, root and service accounts that you have out there. If you have not already looked at managed service accounts in AD, do it now. Service Accounts tend to be one of the weakest links in our security posture. The password gets set once, and no one wants to change it because of worries that something will stop working. And too many people know that password. Next consider putting the rest of your administrative accounts (administrator (both domain and local), root passwords from Unix, Linux, routers, etc.) into a password safe. There are two kinds of tools to look at here. First, is just a password safe. This will allow administrates to "check-in" and "check-out" administrative passwords for the systems they need. You want a system that will allow for workflows for approval of the request, time limits on the request, and the password to automatically be set to an unknown password when the request is finished. Some systems will alternately allow you to check out a session, instead of the password. This is a great option of 3rd parties that may need access to do maintenance, but nothing more. They can make the request, but instead of getting a password, they are presented a session (RDP, Telnet, etc.) to the system they need. Usually you can also control what commands the admin can run. And some systems will allow the entire session to be recorded. The last thing to think about is providing Role Based Access Control into the AD itself. We have lots of people that need some level of authority in to the AD (think OU admin) but in AD directly, we have to potentially give more rights than we really want (the admin can see the entire AD structure). Tools available today will allow you to "firewall" off the AD and assign much more granular permissions then can be assigned natively. For example, you have an administrator that you want to manage all of the sales people in your organization. However, the AD is designed by location and each location contains more than just sales people. Natively, you would need to over-permission the admin to do the job. Using additional tools, we can create "virtual" OU structures, so I can create a "Sales OU" that contains all sales reps, no matter what location. I can then give my admin rights to just see the new Sales OU and just manage the attributes I want them too. When the auditor asks, "Who put Bill into the Domain Admins group?" how do you answer? If you are auditing the changes to AD, this is a very simple answer. Run a query, find the record for Bill being added to the group, and look to see who did it. Auditing can also help you find anomalous activity that may be a security issue. I have one customer that is using auditing to help them figure out how and when users are locking themselves out. Now that we have a well built and secure AD, why not extend it out to UNIX, Linux and Macs? Ever wanted to apply GPOs to your Macs? These are all now possible with tools that will allow us to bridge the AD environment over to the non-AD world. This is especially helpful on the UNIX / Linux side where you no longer have to create a new account on every machine that a user needs access to, they just use their existing AD credentials. Modernizing your Active Directory is a journey, not a destination. The phases I outlined above can be done in any order, and there is no requirement to do them all. However, if you do go down this path there are many advantages including reduced costs, tighter security and happier users. Feel free to contact me for more details! Ian S. Lindsay has been in the IT industry for over 27 years. As a Strategic Systems Consultant for Dell Software, Ian has been responsible for providing solutions and architectural guidance to core customers in Dell's Central and East districts. His experiences range from software development on UNIX to designing enterprise network infrastructures using the latest technologies. Prior to joining Dell, Ian was a Sr. Technology Strategist with Microsoft for almost 14 years and was responsible for the healthcare customers in Microsoft's Pittsburgh account team. One of my favorite sites when I'm looking for something fresh to learn about Microsoft Windows is the site called "Windows Tip of the Day" run by Jason Savitt, a systems engineer with more than 20 years of experience utilizing enterprise technologies to create resilient system architectures with servers, cloud infrastructure, networks, SANs, virtualization, Web-based technologies and databases. Jason recently asked me to take a look at his ebook "Power User Guide: Windows 10 Secrets: The Ultimate Windows Tips and Tricks Guide for Everyone" and I'll briefly review it here. A guide to understanding SSL certificates, how they operate and their application. By making use of an SSL certificate on your web server, you can securely collect sensitive information online, and increase business by giving your customers confidence that their transactions are safe. This white paper is hosted on our sister site WindowSecurity.com. Sign up to read this white paper today. Protect complex cross-border regulatory environments and data sharing. Participation is limited to the first 500 registrants, so sign up here today! This video on WindowsSecurity.com demonstrates usage of free Service Account Finder and Reporter utility. COMODO Backup lets you quickly create reliable backups of your data to a wide range of storage media. Remote Utilities for Windows is free for business use on 10 remote PCs. The following tip has been excerpted from Jason Savitt's ebook "Power User Guide: Windows 10 Secrets: The Ultimate Windows Tips and Tricks Guide for Everyone" and is included here by permission of the author. Some of the older Windows desktop programs (File Explorer, Wordpad, Paint, etc.) 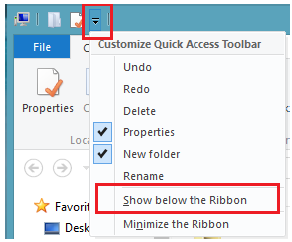 that are still included with Windows have a feature called a Quick Access Toolbar. This feature dates back to Windows 7, but it’s still a useful if the user uses these applications regularly. A Quick Access Toolbar allows for the creation of a custom toolbar of shortcuts to popular functions (i.e. cut, copy, paste, undo, redo, etc.) in the title bar of the application. The customized toolbar should be available below with the items that were selected. To get rid of any of the items in the new toolbar, just right-click on the icon and select Remove from Quick Access Toolbar. A cloud service-level agreement is a comforting promise from a cloud provider to keep your applications up and running, almost all the time. Though they help users know what to expect, they also present numerous potential problems for the enterprise. Start embracing these cloud service-level agreement best practices to get the most out of yours. Today, it is all too easy to forget about virtual server backups, especially with replication being used in the data center. Unfortunately, replication doesn’t cover everything. 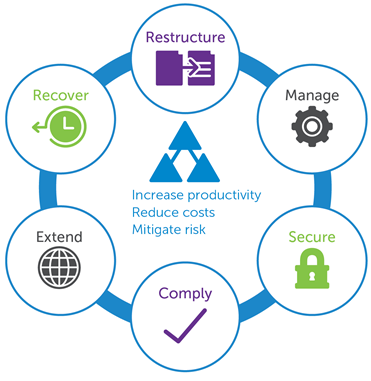 The measure of good backup software can often be how powerful the recovery tools are. Review these expert tips for your virtual server backup strategy so you can avoid common mistakes. The battle between Citrix and VMware is raging on, but according to VMware's EUC General Manager Sanjay Poonen, matching Citrix feature-for-feature isn't as important as having a long-term vision for IT organizations. Access this exclusive interview now to hear more about what this GM thinks sets VMware apart. With new and updated GPO settings in Windows 8 and 8.1, you can now control updates to apps from the Windows Store and configure file associations for LOB applications. Some settings you might not know about can make dealing with automatic updates from Windows Store applications a lot easier. Learn how to control app updates with Windows 8 and 8.1 GPO settings.